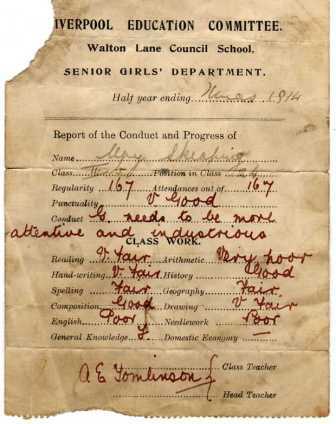 Thanks to Andrea who sent me this report card for her Nan, May SKEAPING. May would have been about 9 years old in 1914. We think the teacher was Annie Eleanor Tomlinson who was living in Salisbury St, Everton in the 1911 census. The school was actually in Walton Rd, Kirkdale. He is not related, but seems to have been a noted bike rider and sportsman. 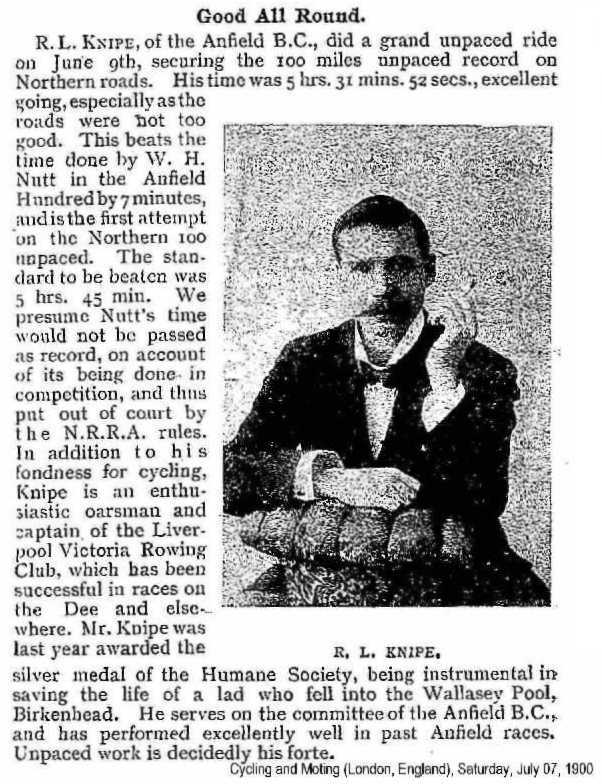 Apparently he was headmaster of the Steers Street Council School at one point in time and a member of the Liverpool Association of Schoolmasters. He was elected president of that association in 1929. He retired in 1936 and died some years later in a bicycle accident. He lived at Moscow Street West Derby.